We will welcome a new System & Characterization Office Leader. 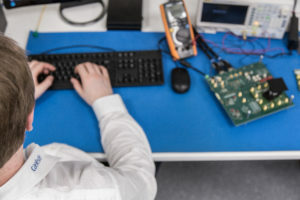 He/She will organize, manage and represent the hardware, software & test team that is responsible for the verification, characterization, test, automation and qualification of our image sensor prototypes & products. You will have direct impact in the complete product life-cycle – from project intake until the delivery of a qualified product to our customer. You represent your team in Caeleste’s Management Team. We will welcome a new PCB design engineer. 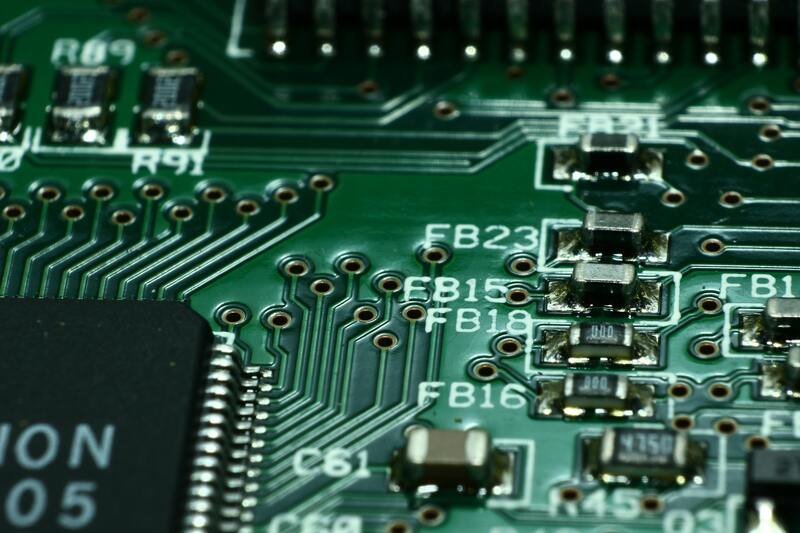 He/She will work on the design of hardware PCB’s used to validate & characterize novel CMOS image sensors. You will be responsible for PCB architecture, schematic design and layout, functional and signal integrity simulation. We are looking for Image Sensor Designers & Scientists to join our R&D team that is responsible for the technology analysis, research, circuit design, simulation, layout and verification of our image sensor prototypes & products. Full job description available for download. 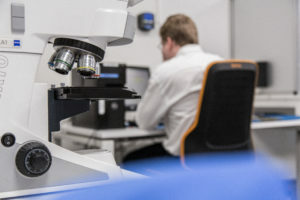 We are looking for Characterization Engineers to join our characterization & test team that is responsible for electro-optical image sensor characterization, analysis of image artifacts and new test system developments. The Benefits of working at Caeleste! In Caeleste, you are not just an employee but a member of a family. I understood that from how I was welcomed into my new career by my new colleagues on the first day I joined in. I was surrounded by curious and creative minds that were ready to share their experiences and insights with me and guide me through the obstacles. It was my first step to a professional life and I adapted to it easily thanks to the support of my colleagues. By joining the Caeleste family, I became a part of an academy where all of us are both student and teacher and where the ideas can be freely discussed. Caeleste is the place where those creative ideas turn into innovative designs through experience. I feel lucky to be a part of this creation process and be a member of the Caeleste family. 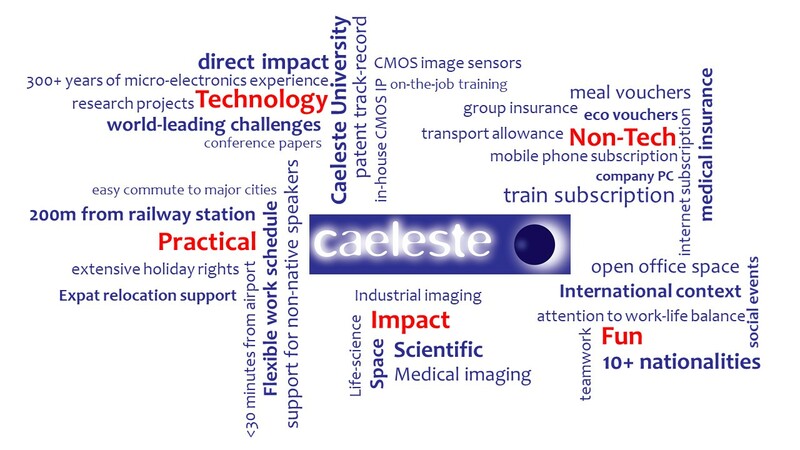 As a Senior Project Manager at Caeleste I’ll get the opportunity to get involved into the deep technical aspects of the image sensor design and characterization. This is helping me in guiding our customers through the complex life cycle of a custom development and getting them the best support. I am always fascinated by space-related technology. For my thesis, I was looking for a topic close to my passion. When meeting Caeleste, I immediately found a match with my interests and capabilities. Upon finalization of my studies, it was a no-brainer to continue my career at Caeleste. Now, more than a year later, I am still where I want to be.